Could There Really Be a Spinoff Show For Supergirl's Superman? Sony’s Mulan movie gets a director. James Gunn ponders the Guardians of the Galaxy spinoff he’d like to do most. Get a good look at Stephen Merchant’s Logan character. Plus, new clips from Moana, The Flash, and Star Wars Rebels, and new set pictures from The Punisher. Spoilers Get! My next project, I can’t tell you about, but we’ve just finished ‘Spider-Man’ and we’re talking about the second one and who the villain is going to be and where we’re going. James Gunn is open to doing a Nebula solo film. Here are some pretty cool new character posters for the film, in which the heroes’ faces are overlaid with what are presumably the plans to the Death Star.You can see more on the Star Wars twitter account. New images of Stephen Merchant as the film’s take on Caliban have been released. Moana meets Maui in the first clip from the film. I’m not going to sit here and say that there’s never going to be a world in which there is a Superman TV show and that Tyler’s going to star in it. I don’t know what the future holds. But right now, that’s not our focus. 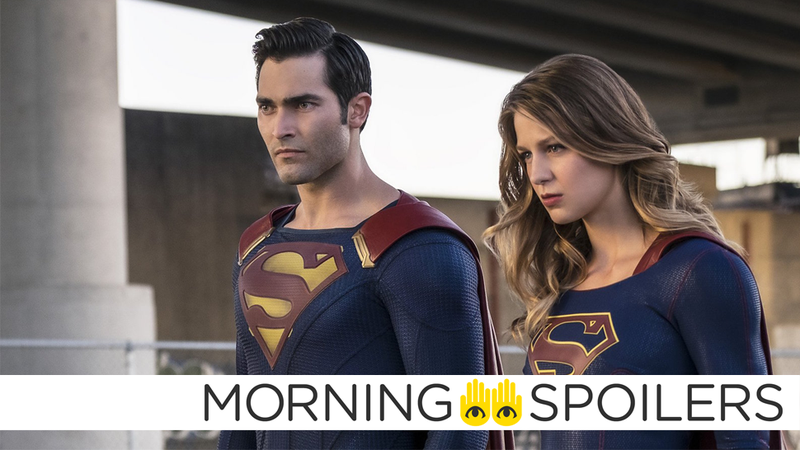 Right now, we’re working on Supergirl, which is the flagship, and working on a way for Tyler to reprise the role is really what our focus is on Supergirl right now. The BBC has released over 100 new pictures from the series. Episode one images are collected here, episode two here, character portraits here, and a few more ancillary ones here. In my memory I was conflated that hovercraft sequence when they arrive in the park with the space-hotel with 2001. And I said to J.J., “Is that park even on this planet?” The important thing for us was, when you come to the series you have no idea where you are. Disneyland is in a parking lot in Anaheim, but it’s spectacular and you forget where you are when you’re inside.